Apple’s ARKit has been out for developers since it was announced last month. 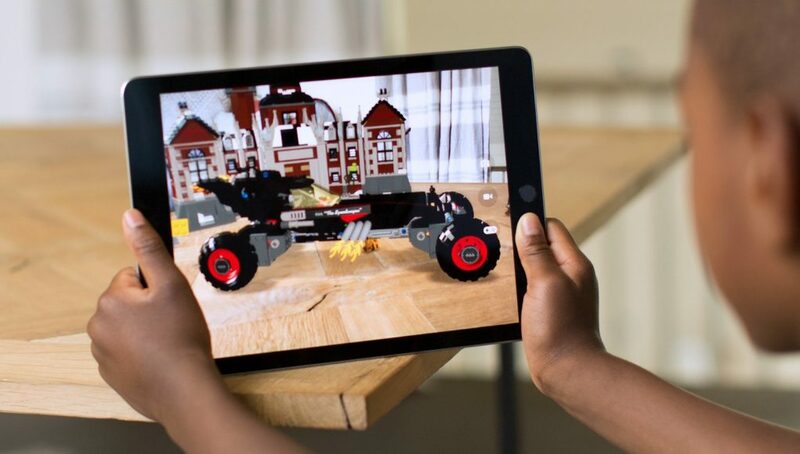 Because of the mind-boggling number of iPhones and iPads capable of running ARKit, the new tool is already spreading its augmented reality wings across the Internet thanks to a diverse set of developers. Here we take a look at some of the coolest publicly-shared AR projects being built right now using ARKit. 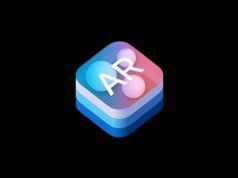 Keep in mind: because ARKit essentially gives the device the ability to accurately map your surroundings, something made possible by simultaneous localization and mapping (SLAM), there’s no need for external equipment to run these sorts of AR experiences. Apple, with a single flip of the wrist, has however started down the path of farming AR applications for whatever device it has planned next. Ok, so a dancing robot isn’t the most innovative application we’ve seen, but being able to see a 3D figure do the boogie in your living room has its appeal, and the dynamic lighting only makes it that much cooler. Dancing to Vengaboys (the song from the Six Flags commercial), this happy little robot was created by Tomas Garcia, also known for many other cool ARKit experiments. Created by Smart Picture 3D, their Measurement Cloud enables what they call “dimensioning intelligence for the interior world.” There’s no denying the utility of pulling out your smartphone to see if that IKEA dresser is going to fit in your office (of course leaving enough space for VR). Fancy a walk into another dimension? This inter-dimensional portal built by French consulting agency Nedd shows you just how extraordinary a lonely allée can be when you have the ability to see another world at a moment’s notice. Using 3D animations from 4DViews, China-based developer 应高选 created this with his iPhone 6s and Unity. 4DViews is known for creating dynamic, volumetric captures for VR/AR/MR market. Showing some gaming applications to the always cool portal-trick, Helsinki-based creative developer lingoded is by his own admission “searching [for] the next big thing” as he works with ARKit and Unity. Look inside the portal to find a key to unlock another door: classic gaming brought to life. You don’t know how to dance. I don’t know how to dance. But with AR, we’ll all be dancing in perfect step with a modern take on the old-timey footstep diagrams. This little two-step number was created by Dance Reality App, and projects a moving diagram on the floor so you can learn all the right moves. Virtual apartment walk-throughs have been in VR for a while now, but with the limited room-scale space and relatively expensive kit required to display (not excluding the difficulty of teaching someone how to move in VR for the first time), Stockholm-based firm 3D Interactive Sthlm brought their visualization technique into AR, allowing you the ease of movement you’ve been used to since you started walking. Nexus Interactive Arts, an immersive media division of VFX production studio Nexus Studios, have used Apple’s ARKit working on an iPhone 7 in an experiment that creates basic inside-out positional tracking and pass-through AR for a Google Cardboard headset. Minecraft is already available in VR, so it was only a matter of time until it came to AR too. Created by Matthew Hallberg with an iPhone and Unity 3D, he says “I love that you are able to place life size objects because the tracking with ARkit is so good.” Stay tuned to Hallberg’s channel for upcoming tutorials and a breakdown of how he created Minecraft for AR. Built in Unity by Normal VR, the mashup between the HTC Vive-driven art program and the ARKit’s ‘window’ into the virtual world is truly inspiring—almost as if it were giving us a peek into the future of mixed reality when AR/VR unite in a single hardware platform. What’s your favorite ARKit project? Show us some cool ones in the comment section! They fucked over Google so hard…there’s no dual camera or IR tracking components unlike what I know consider vaporware Tango, making-it already widely backward compatible and yet as stable. Apple is the biggest technology-retention company and yet they found a way to make stable AR, thus usable VR a reality despite Google/Samsung 3 years of anticipated competitive advantage? What a bunch of corporate losers. 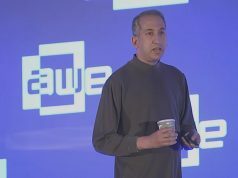 “and yet they found a way to make AR stable” – you do realise that proprietary tech has a better track-record of usefulness than open tech right? All open tech really allows is for engineers to steal others’ design concepts with impunity as isn’t not chargeable. Incidentally, most tech people consider to be open usually isn’t at their level – Android being a prime example. I’m not an Apple fan but I am impressed. Hopefully we will see updates to Tango to support more phones or another similar solution for android. All nice demos, but I’m not excited by any of them. I see them as experiments, not “killer apps”. Room measurements is definitely something that will be used by everyone who has an apartment or owns a home. This is awesome!!! It’s my favorite thus far. These are awesome. Here’s another demo to add to the list that we put together last week; Crazy Golf in ARKit! When we get glasses. Then it goes big. Right now it’s a tidbits of reality and should be used on vehicles windshields for now. VR is in the right time zone. Both will eventually one.